Demilitarization involves India losing both strategic and tactical advantage, while for Pakistan it is a strategic gain traded off against a small tactical loss. Indian strategists should not neglect this fact that Pakistan chooses to gloss over. 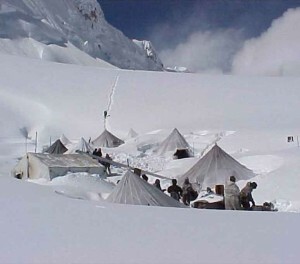 The arguments for immediacy in settlement of the Siachen dispute cannot be delinked from the fact that it stems from Pakistan Army Chief Gen A.P.Kayani’s initiative, which in turn stems from loss of 139 Pakistani troops in an avalanche at Gayari. We need to understand that Gen Kayani’s initiative is not the initiative of the Government of Pakistan (GoP). Government of India (GoI) reacting, that too with unbecoming alacrity, to the Pakistan army chief’s “peace” initiative obliquely legitimizes army control of Pakistan’s establishment. It has been suggested that Gen Kayani’s “peace” initiative is driven by his urgent need to cover up the long-standing lie sold to the Pakistani people that their soldiers are dying on Siachen glacier while facing Indian troops. Gayari is merely in the Siachen region and not on the Siachen glacier, while Indian troops occupy the glacier and its commanding heights. Demilitarization involves India losing both strategic and tactical advantage, while for Pakistan it is a strategic gain traded off against a small tactical loss. Indian strategists should not neglect this fact that Pakistan chooses to gloss over. Gen Kayani’s, not Pakistan’s, “peace” initiative is, on the face of it, a sincere peace offer to get both Pakistani and Indian troops off Siachen glacier. But it can also be seen as a move to reduce Pakistan’s tactical disadvantage when Indian troops pull back. Whether or not demarcation of present ground positions is done, demilitarization of Siachen glacier (which is at the core of what is being broadly referred to as the Siachen region or simply Siachen) at the present juncture calls for hard-nosed reconsideration. It would be unwise for Government of India (GoI) to delink Siachen from other places in the region in which Pakistan does not speak of peace. Taking this call for “peaceful co-existence” from a Pakistan Army Chief at face value would be strategic folly. The Pakistani establishment – sometimes civilian, sometimes military, but always anti-India – has gone back on its word more than once, making mockery of India’s several initiatives for genuine peace. It is true that India wants peace, but it would be imprudent to buy that peace at any cost. All that Gen Kayani needs to do for peaceful co-existence without immediately demilitarizing Siachen is to order his army not to open fire without provocation as frequently happens at Siachen and many other places on the LoC, and not to repeat Kargil-like adventures. In view of Pakistan’s unstated anti-India policy and track record concerning peace with India, we need to look at reasons for being wary of present moves to demilitarize Siachen, and not jump into what could be a strategic trap. Moves for immediacy with respect to demilitarizing Siachen can be at best from strategic gullibility, naivete or ignorance. According to reports in the open media, Pakistan is negotiating or has already negotiated leasing the Gilgit-Baltistan region, which is part of Pakistan Occupied Kashmir (POK), to China for 50 years.3 This includes the area now occupied by Pakistan, facing us at Siachen. If India pulls out of Siachen, re-occupation of the posts will be almost impossible especially if China sneaks into the commanding heights vacated by Indian troops. A Chinese military commander with the least bit of initiative would move his troops into forward posts presently occupied by Pakistani troops. In such a circumstance, hostilities will be between India and China, which is not a party to any “peace” agreements between India and Pakistan. In the context of China having moved several divisions of troops into its Tibetan border with India including missile units within easy missile strike range of New Delhi, hostilities on Siachen could trigger unacceptable military response from China. Also noteworthy is that this October marks 50 years since China humiliated India; with their sense of history, they may contemplate a repeat performance. Demilitarizing Siachen at this stage would be strategically and militarily suicidal. 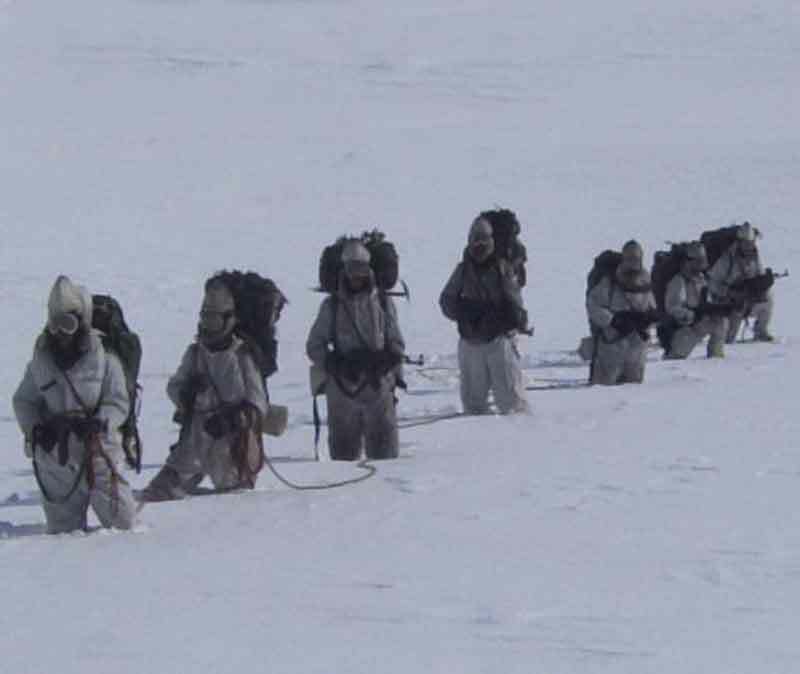 Though in the long run, demilitarization of Siachen may be desirable, it should not be done now when India is not in a position of strategic advantage. Today and in the near future, India will be on the backfoot4 because of growing security liability in Afghanistan (principally due to the impending NATO pull-out), having been sucked into the region because of our strategic alignment with USA following the India-US nuclear deal and the Hyde Act which assumes “congruence” in foreign policy matters. Intrusion onto Siachen glacier by Pakistani or Chinese troops sneaking into tactically strong posts vacated by India after demilitarization will lead to loss of the Shyok and Nubra valleys and permit a Pakistan-China link-up between Gilgit area and the Aksai Chin area already under Chinese control and areas illegally ceded to China by Pakistan. Their sneaking in cannot be ruled out, whether or not a binding international treaty exists. Occupation is nine-tenths of the law. Also pressing for early agreement to demilitarize Siachen, strategist Gurmeet Kanwal suggests an India-Pakistan demilitarization agreement including a clause that allows either side to take military action in case of violation by the other side. Thus if Pakistan (or its Lessee, China) encroaches into the zone of disengagement (ZOD), India will “be at liberty” to take military action to win back the high ground all over again. Thus, while the agreement envisages violation, it suggests the remedy of re-opening hostilities! It cannot be over-emphasized that an India-Pakistan agreement does not include China. Whichever way one looks at it, demilitarization of Siachen glacier now will make Pakistan or China the gainer and India the loser. Strategic negotiation should always be from a position of strength and never from ignorance of history or naivete regarding ground realities. Silent Subterfuge – LoC to Border? “Further, Kanwal argues that air and electronic surveillance will suffice to detect small intrusions which can be attacked from the air. ” – Kanwal has no concept of what is involved in electronic surveillance when he utters such nonsense. Excellent rebuttal of Noorani. In all his articles, say on Kashmir on other issues or otherwise, Noorani exposes himself as someone with blinkered vision of Pakistan, guilty conscious of what real facts are, and trying to cover up the real Pakistani game. 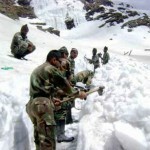 Yes, the Siachen should be de-militarized but with adequate safe guards. It is best to convert the existing AGPL into LOC. A balanced view by the author, and I would agree with him that there is no need to rush to a solution with Pakistan. Are there any adequate safeguards in military contexts? Besides, what could be judged as “adequate” for today, can be easily rendered invalid by the advance in technology. Again converting AGPL to LOC is not in India’s hands – Pakistan claims the whole of Kashmir as theirs. As Manekshaw has said somewhere, India needs to be ever vigilant on Pakistan – that is no compromise. It is right in line with the great observation made by Churchill, that peace can be achieved only by the threat of war.